I'll admit it: I think the base version of Google's Android platform is a little rough around the edges--especially when compared with the iPhone, which not only "just works," but is beautiful too. Sure, Android is cool because it's hackable and open-source: If you're willing and able, you can root your phone and make it look exactly as you want it to. 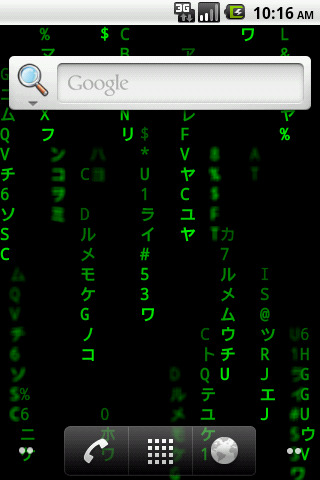 That said, not everyone is comfortable with hacking a phone just to get a pretty interface. Luckily, you have some easy ways to make your Android device more attractive without hacking it. You'll find two types of wallpaper for Android phones: regular, static wallpaper, and dynamic, "live" wallpaper. Live wallpaper is nifty--especially when you're showing off your Android handset to iPhone users--but it can drain your phone's battery and bog down its software. The key to choosing live wallpaper is to make sure that isn't too animated. Excessive animation not only negatively affects your phone's system, but also makes your phone look cluttered and busy. Here are a few simple, appealing live wallpapers to get you started. 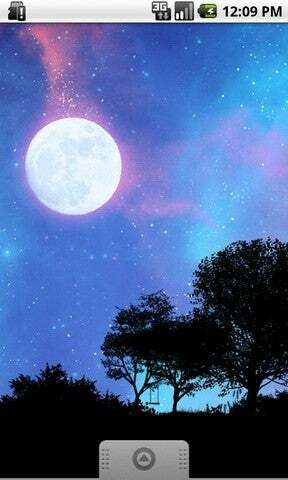 In this wallpaper you get a slowly swirling purple-and-blue night sky, with a silhouette of trees in the foreground. The full version, which costs about $1.50, allows you to change the foreground silhouette and turn the moon and stars on and off. This cute wallpaper uses your phone's accelerometer to propel Android droids across the screen. You can customize everything from the color to how the droids react to things (they can respond to light, music, acceleration, and gravity). This soothing wallpaper is inspired by the PlayStation 3 and PlayStation Portable background waves. The free version includes 11 colors, three background types, and two touch-point icons, while the full version ($1) gives you more color options and a few other interesting features (such as shaking the phone to change the color). Who doesn't like The Matrix? True nerds (like myself) might notice that the imagery here isn't completely identical to The Matrix's raining code, which uses backward Japanese characters--but it's still pretty cool. This simple, purple-hued wallpaper simulates the Aurora Borealis. Tapping the screen produces bursts of stars. You know those neat widgets that you can place on your phone's home screen? They're Android-only--nothing for iPhone users here. Of course, not all widgets are created equal: While most provide useful information, many are bulky and unattractive. Here are some widgets for your home screen that are both practical and classy. This widget remakes your home screen's toggle switches (for turning Bluetooth, Wi-Fi, and the like on and off). Not only are SwitchPro's switches nicer than Android's (and customizable), but you'll also find a lot more of them, including switches for autorotate, vibration/silent mode, and flashlight. BatteryTime Lite is a free battery-monitoring widget/app that puts a small battery icon on your home screen. The widget shows approximately how much charge your phone has left, and you can tap on the widget for more details. Clockr is an absolutely gorgeous clock widget. It's not like your regular clock widgets: It's text-based, which means you see the time as, say, "eight fifty seven" instead of "8:57." 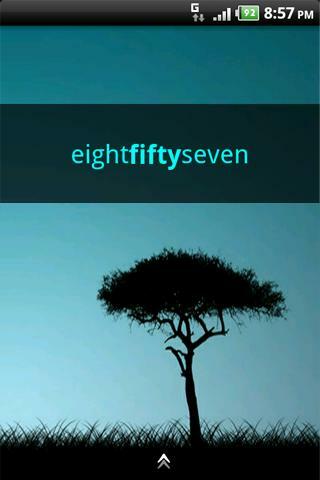 This simple app is a great way to add a touch of modernity to your home screen. It's customizable, too--it offers multiple ways to display the time, as well as various color combinations. If you're like me, you text a lot. 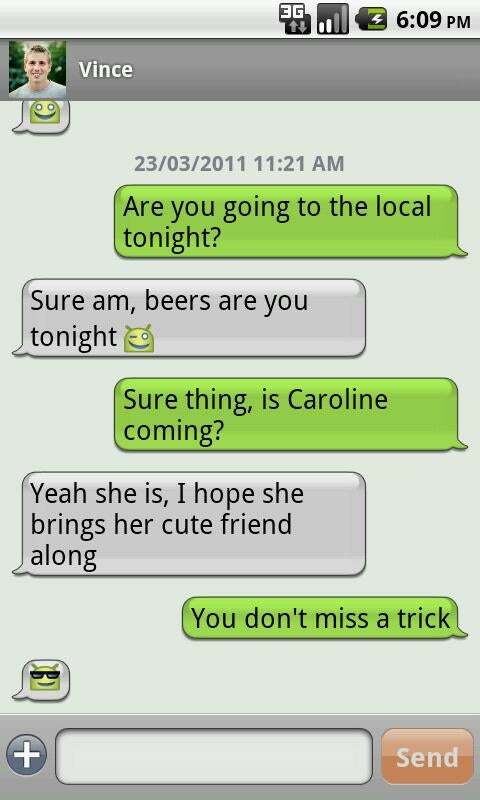 And let's be serious: The Android texting app just isn't that attractive. Fortunately, some supercharged Android texting apps out there let you do things such as add backgrounds, colors, and even custom LED notification lights to your texts. These apps don't modify the original texting app--they're separate systems--so unless you enjoy being notified twice about text messages, it's a good idea to turn off your default texting app's notifications. Here are a couple of texting apps to check out. Handcent is a customizable texting app that lets you change the look of your texts. Handcent puts texts in bubbles--similar to the iPhone's texting interface--which can be easier to look at. You can tweak the bubbles, text, background, and text-entry box with colors and fonts. Handcent also allows you to change the color of your LED notification light, and it gives you the option of having pop-up notifications when you receive texts. Although ChompSMS is very similar to Handcent, I find it slightly more aesthetically appealing. This app also puts your texts in bubbles, and lets you change the look of your texts with colors and fonts. You can change your notification light color here as well, and choose to receive pop-up notifications when you receive texts. ChompSMS also lets you turn ads off--providing that you donate $6 via PayPal. If you want to customize more than just your phone's home screen, you might think about downloading a home-screen-replacement app from the Android Market. Such apps let you replace your phone's default launcher with a customized dock, change the way your app drawer works, and make over your phone with custom icons and themes. 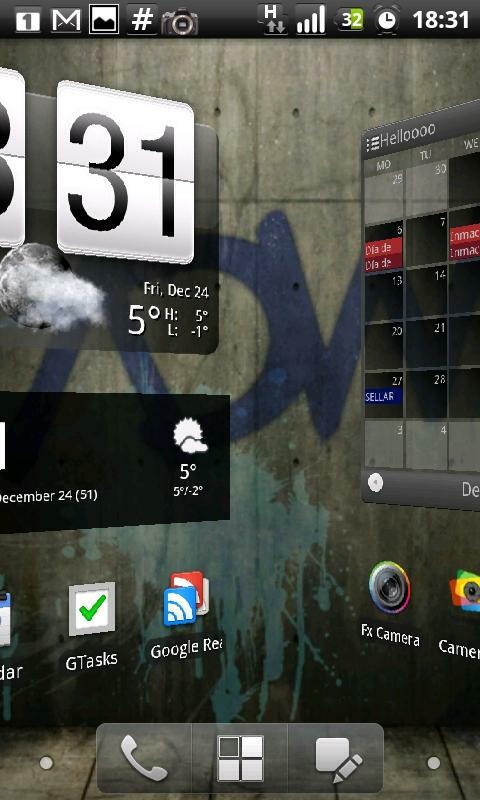 ADW.Launcher Is a free app that lets you personalize your home screen and app drawer. It replaces your desktop launcher with a customizable dock, where you can drag and drop apps. It also has options for simplifying the look of your phone: You can hide the notification bar, hide icon labels, and modify the number of rows and columns on the desktop. 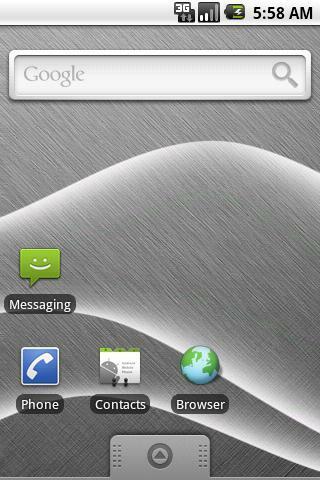 Themes for ADW.Launcher are available, too--you can make your own or download premade themes from the Android Market. Themes usually include custom icon packs and custom docks. The paid version, ADWLauncher EX (about $3.30), has even more options. Another home-screen-replacement app that allows you to customize your Android phone, LauncherPro lets you increase the number of home screens (up to seven), hide app drawer apps, and loop your home screen. LauncherPro also offers themes, icon packs, and a scrollable shortcut dock, as well as an Exposé-like feature that lets you see all of your home screens at once. 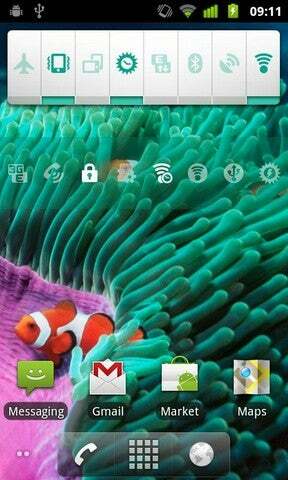 LauncherPro Plus Unlocker, the paid version of LauncherPro (about $3.50), features exclusive widgets. Now you have some good ideas for customizing your phone's interface. That said, you don't have to install every single one of these apps right away--play around with styles, colors, and widgets, and see what looks best.